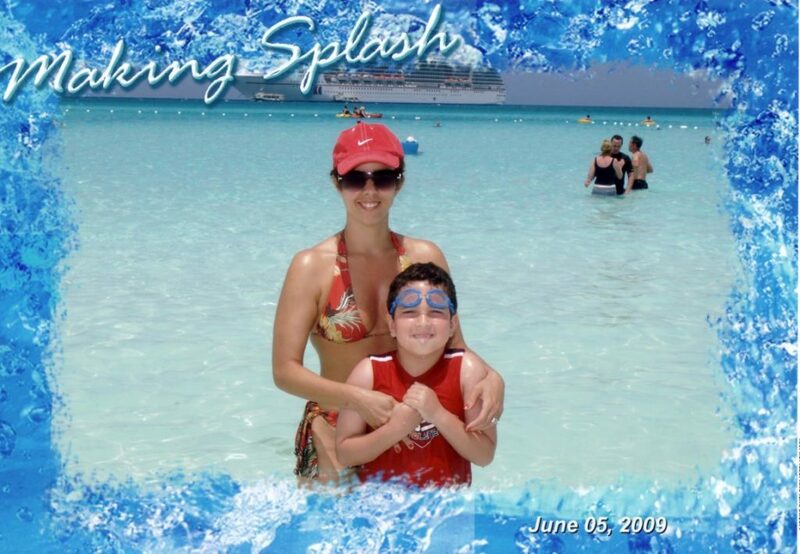 I will soon be embarking on my fourth cruise, a Disney Social Media Moms celebration! I’m so excited! We will be enjoying the Disney Cruise on board the Disney Wonder and documenting our journey with our friends and followers. I’ve made a list of must have gadgets, that not only a blogger needs, but anybody who wants to fully experience a cruise should bring. 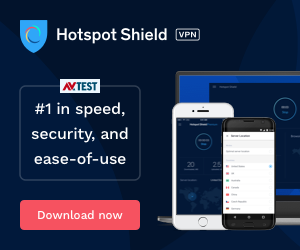 Whether you’re looking for different ways to record your cruise memories or keep your identity safe, some high-tech gadgets may be just what you need. You know those pictures from the port which include the whole ship?? A selfie stick will help you accomplish that and be in it as well!!! I haven’t bought one for this trip, since I’ve received many on previous press trips. But the one above is a great option and it is on sale right now!! I own a Kodak Pix Pro, but a Go Pro is a great option as well! The GoPro – HERO Session HD Waterproof Action Camera is a great choice and it is on my wish list! You don’t want to be on an Island and not be able to bring your camera with you and miss capturing precious moments with your loved ones, right? My son and I have an Otter Box for our iPhones. I have a different case for daily use, just use this one for trips! I love it! It is water resistant and has a silicone skin and screen protector offers 3 layers of protection against dirt, scratches and accidental damage. If you are looking for a waterproof one, the LifeProof is a great option. Electronics aren’t the only things you want to keep safe when cruising. Your identity and financial security are also at stake. We went on a cruise to the Bahamas 5 years ago, they had our passports safeguarded, we had no access to them, so when we left the ship for an excursion to visit the Hotel Atlantis, I did not realize we would have to go through customs on our way out. All we had was my husband’s drivers license and cruise bands…..the officer was nice to let us back on the ship, but I never want to go through that again! The easiest way to keep your documents safe, is to throw your passport and wallet into your cabin, but that doesn’t work when you’re in port or coming and going. Keep your documents safe while visiting a port city by putting them in an RFID wallet, which shields them from anyone trying to scan them illegally. You can do the same for your passport with an RFID passport sleeve. Just make sure to do an online search before purchasing to make sure you’re getting one that really works. We don’t own one, I’m still debating on getting one, but this one comes with great reviews: RFID Wallet. This item is still on my list for this trip. One of the greatest options when cruising is the abundance of onboard fun, especially if you are talking about a Disney Cruise! At night, you can choose from live music in a lounge or a show in the theater. On some cruises you can even watch a movie on the sun deck. Sometimes it’s just as nice to stay in with your friends or significant other for the evening, but there’s not always a large selection on the TV. 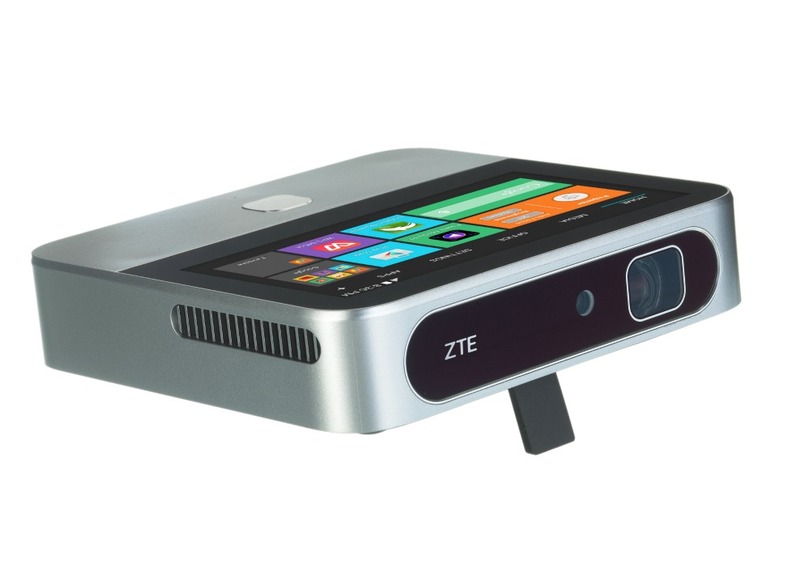 With the ZTE PRO 2 you can project standard definition-quality movies from your smartphone, tablet or laptop onto your cabin wall, and — here you go– it’s movie night. Here is a full review I did on it, check it out, we use it all the time! ZTE PRO 2. With so many of us toting around many electronics, the one or two outlets most cruise ship cabins provide are not nearly enough. That’s why a power strip is a must-pack item, but cruise lines don’t like passengers bringing large strips with them. Instead, throw a small, two- or three-outlet strip with USB outlets into your bag, and you’re all set. 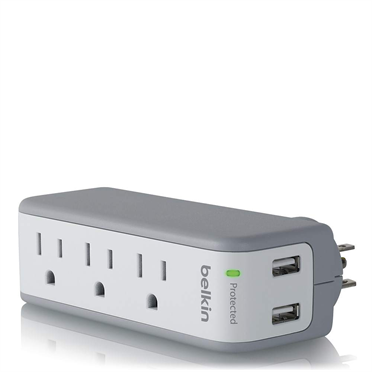 Our favorite is the Belkin mini surge protector with three outlets and two USB chargers. I hope my thoughts will help you make an informed decision when booking your next cruise! Whether you are a blogger or not, I truly believe these gadgets will help you to successfully navigate your cruise experience with ease! We know we will be making magical experiences, we want to make sure we will be capturing every moment! 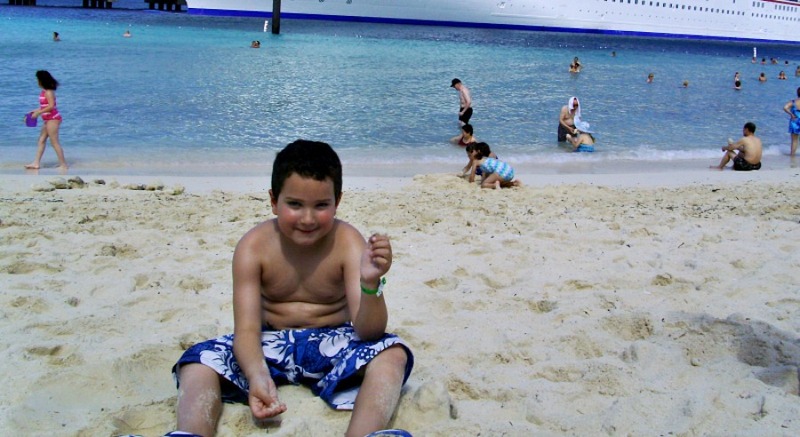 My son has been asking to go on a cruise since our last one in 2009! We’re truly looking forward to this experience as a family and me, as a Disney Blogger! Can’t wait to hear from you! As usual, give us a Trendy Shout! Seems to be good advice. Thank you Claudia. These gadgets really seem helpful and practical! 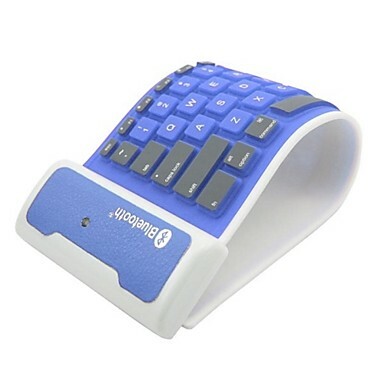 The wireless keyboard seems like something I need to get soon! These gadgets are just so cool, want even one! Great list, I have the Beljin mini and it is a total winner. I have a good waterproof camera with Wifi and tons of selfie sticks. The RFID wallet is a great suggestion. I need one of those simply because I’m in DC. I’ve never been to a cruise but me and my husband has been planning for it for years. I would love to try it at least once and see if I like it. I’ve never been on a cruise but I can see how these gadget might be beneficial. The smart phone projector is especially cool. Firstly, a selfie stick is a must – anywhere you go! Secondly, these all would be great for any trip! All these tech gadgets are great for any kind of trip! I love this list and am bookmarking it for my next trip I absolutely LOVE that waterproof video camera and the wireless keyboard! Wow, what an honor to get to board a Disney cruise! I would love that- especially since I’ve heard they have great child care, lol. My husband and I cruised with our 18 month-old 2 years ago and it would’ve been a completely different experience if we had a place for him to play while we enjoyed the ship. We’re actually taking a cruise at the end of March. I’ll have to look into getting some of these gadgets. I know my daughter would like a selfie stick. I would love to have a selfie stick. For some reason, I think I am the only blogger without it lol. I couldn’t agree with you more on the waterproof phone packet. I used on of those for a beach vacation and they are awesome!! I think these are all great ideas. The selfie stick is always a must. I need to figure out what I did with mine. I love those for travels. This is awesome to know. I am hoping to go on a cruise in the next year or so, and I wouldn’t have a clue what I needed to bring to help make the experience amazing and something to remember! I love all of these items! Especially the keyboard and the projector. 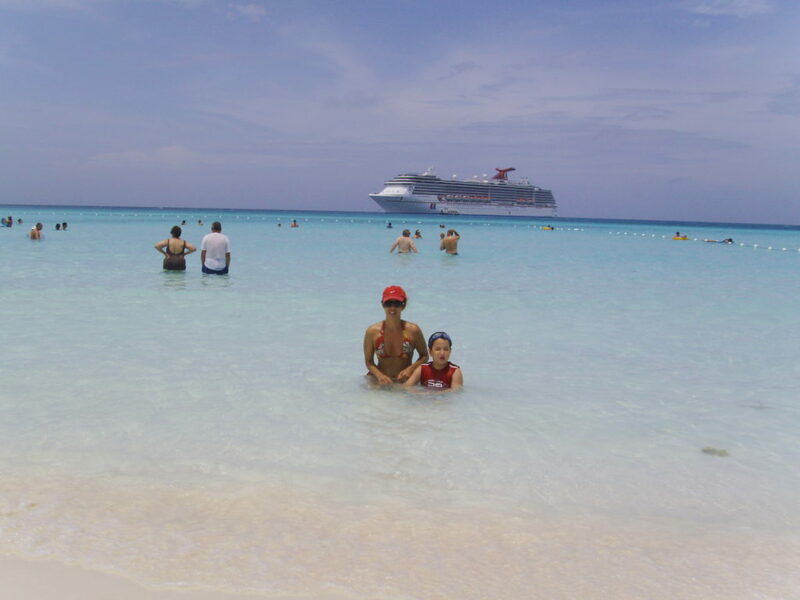 Cruises always have so much to do, but that can seem overwhelming at times. I did that with my sister when we went on a cruise with friends. It was nice. A waterproof video camera is a great idea! I’ve never been on a cruise before but I would definitely love to go on a Disney cruise when my daughter is a little older. My husband and I bought RFID wallets sometime back for when we cruise. I feel a lot safer knowing that my ID is protected while I am abroad. All of these items look great for on a cruise. I have always wanted a camera that was able to be used in water. I love these tips because I am such a cruise ship newbie. I would have never thought of these electronic devices myself either. Thank you! I am hoping to go on a Disney cruise soon with the kids. I will have to get a selfie stick so we can get some good group shots. A waterproof smartphone case is a fantastic idea. I need to get one for everyday life. I am hoping to go on a cruise soon. Oh I wouldn’t have thought of these! Great ideas! I do want to plan a cruise vacation at some point. These would be great gadgets to have on a cruise. I will have to check out the smartphone projector. Great list! I’ll be on the cruise as well! Reminds me I need a new waterproof camera! We leave on our Disney cruise in October and I totally needed this post! Need that wallet for our passports and the waterproof cases for sure! The power stick and the waterproof camera seem like great things to have while on vacation! The pictures of that beautiful water are stunning! These are all great ideas. I need to get a waterproof phone case for my cruise in 2 weeks. I have heard that a power strip is really important for cruising! I am planning on getting a RFID wallet for my next international trip. We love cruising and hope to one day go on a Disney cruise too. What a great round up of things to bring with you! I would love to go on another cruise! We went on one back in ’09 to Hawaii and it was amazing. Enjoy your time… can’t wait to see the photos! How cool! I love that projector – what a neat product to have! If I ever get to take a cruise, I will definitely grab these! I’ve been wanting some of these and will check them out before our next cruise. I’d really love a good Water Proof Video Camera. These are all great items to take! I’ll have to remember that when we cruise this summer. My brother has a GoPro and I’m obsessed with it, as are my girls! Totally plan on getting one soon! And having a water proof case is a MUST ! Your on your 4th cruise and I haven’t even been on one. Disney cruises sounds like fun. I would have to take my kids and grandkids with me to really enjoy everything. The Smart Phone Projector would be great for cruises or any vacation. Also, we never vacation without the GoPro. The RFIT Wallet is a great idea to keep documents safe. All of these tech gadgets will greatly enhance a cruise/vacation.